Bellingham may not be the largest city in the state of Washington; but it is a major gateway to the outdoor opportunities to be found in the San Juan Islands and the North Cascades; as well as an easy and short drive by Bellingham motorhome rental to the cosmopolitan offerings of Seattle and Vancouver across the Canadian border. Most of the state of Washington’s attractions are easily accessible from the I5 south from Bellingham in the north of the state, a short distance from the Canadian border. This means that an ideal way to see many of them is to compare motorhome rental, campervan hire and RV rentals in Bellingham and book online. You could start by taking Highway 542 through the Mt. Baker-Snoqualmie National Forest where there are a lot of scenic views to enjoy; as well as perhaps spending some time hiking some of the magnificent trails that are there. Moving on in your RV rental, you can move onto Highway 20 to pass through the sharp snow-topped mountains of the North Cascades. This scenic route will bring you to the Diablo Lake Boat Tours and onto Winthrop, a western themed town. From there you can pass through the Coulee Corridor to Grand Coulee Dam; passing Steamboat Lake State Park, Potholes State Park and the Lake Lenore Caves. On your way back to the coast, you can drive your motorhome hire through Mount Rainier National Park where the scenery is superb for both personal investigation and distant viewing. 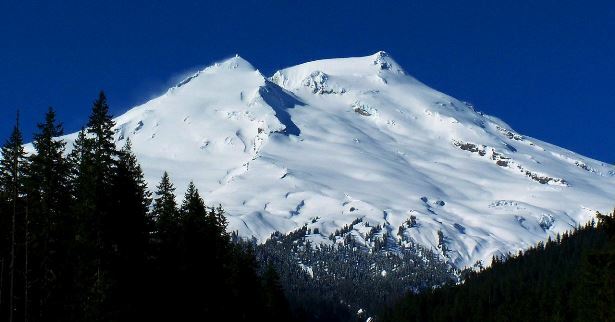 Continuing on with your campervan rental, you can pass on to the Mount St. Helens National Monument. Here, apart from seeing an active volcano up close, you will be able to see evidence of the 1980 eruption. By calling in at the visitor’s centre, you will be able to see many interpretive exhibits; which will make you clearly aware of all the aspects of destruction caused by the eruption. Moving westward, you will reach the Olympic Peninsula where, with your Bellingham motorhome rental, you will be able to spend the three days it takes to fully explore the UNESCO World Heritage site and the International Biosphere reserve that make up part of the Olympic National Park. Having completed your tour of the Olympic Peninsula by Bellingham motorhome rental; you will be able to get back to the I5 to visit Seattle, the largest city in the Pacific Northwest. While in Seattle, if time permits, you can take one of the Washington state ferries across the Puget Sound to visit one of the islands. You may also want to check out Seattle’s Pike Place market where you will find all kinds of seafood; as well as a variety of street musicians, something uniquely north-western. Pike Place Market should also be on top of a coffee lover’s itinerary; one of the original shops of Starbucks is still around. If your beverage of choice is more on the fruity side; you may opt to drive your RV rentals five hours south to Oregon’s Willamette Valley; home to its world-class Pinot noir and more than 300 wineries. Or, you can make a shorter trip across the border to the north to British Columbia’s wine trail. In less than three hours, you will be at the cellar doors of Fraser Valley, an hour’s drive east of Vancouver, sampling the best of the region’s reds, whites and roses.